Gorillas are the largest living Primate. Humans are also primates. 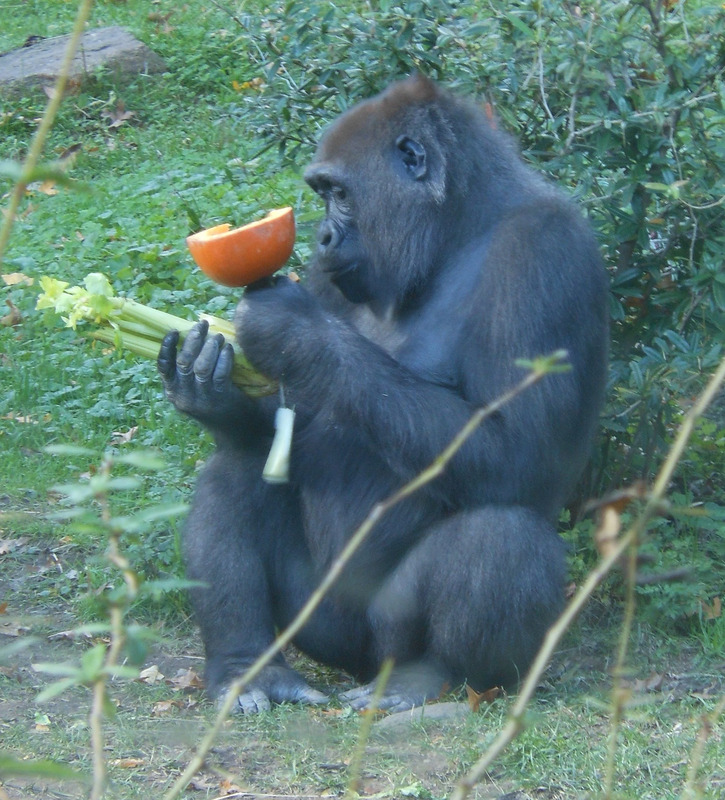 Gorillas are very smart and have been taught to use tools in captivity. They communicate using gestures, body postures, sounds, and by slapping their chests. Some gorillas living in captivity have even been taught sign language. Gorillas are shy animals, they are not aggressive. Like humans Gorillas have 5 toes on each foot and 5 fingers on each hand. Gorillas have a small ear on each side of their head and 32 teeth. Unlike humans, gorilla arms are longer than their legs. 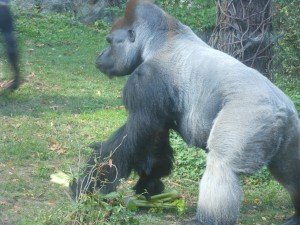 Gorillas walk using their legs and knuckles. A Gorilla can be 6ft tall and weigh 500 pounds. Gorillas are herbivores meaning they don’t eat meat. Gorillas can eat up to 50 pounds of food each day. They eat leaves, berries, plants, fruits, flowers, shrubs, vines and sometimes small insects. Gorillas can live 35 years in the wild and over 50 years in captivity. Adult male Gorillas (over the age of 12) are called silverbacks. This is because the hair on their backs start to turn from black to gray. Gorilla’s live in groups of 6-12 called bands or troops. They consist mostly of one silverback, a couple of females and their young. A female Gorilla is pregnant between 8.5-9 months. They give birth to 1 baby at a time. A baby Gorilla starts to crawl around 2 months and walk by 9 months. They stay with their mothers for 3-4 years. There are two main species of Gorillas. Eastern Lowland and Western Lowland. Eastern Gorillas live in the tropical forests of Democratic Republic of the Congo and along the borders of Uganda and Rwanda. Mountain Gorilla are a sub-species of Eastern Gorillas. 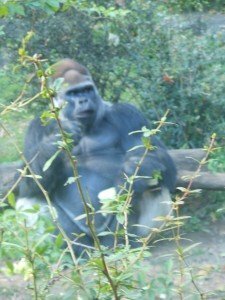 Western Gorillas live in the forests of Cameroon, Republic of the Congo, Democratic Republic of the Congo, Equatorial Guinea, Gabon, Angola and Nigeria. Cross River Gorillas are a sub-species of the Western Gorilla. Gorillas are an endangered species. They are endangered mainly due to loss of habitat and being hunted by humans. Their only predator are humans.